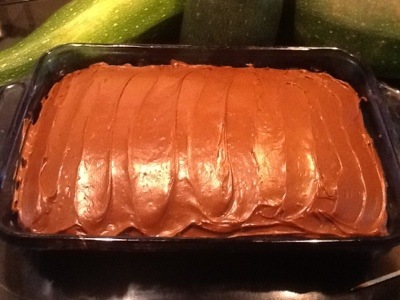 Zucchini week…the final episode…Zucchini brownies! | ARTZCOOL'S BLOG! 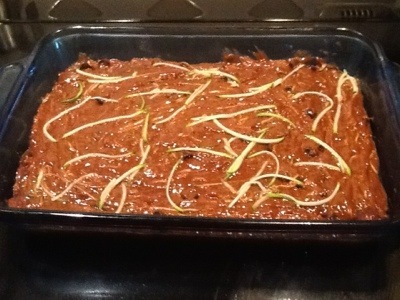 Zucchini week…the final episode…Zucchini brownies! 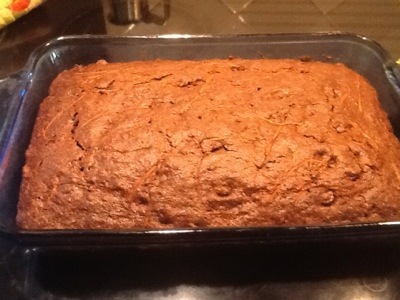 So, going down my list of zucchini recipes, the last one I had to try is zucchini brownies. I know it sounds kind of gross, but I like zucchini bread, so why not brownies? We had family over the other night and served this for dessert, the kids loved it (we didn’t tell the kids what was in them) so the parents loved them too. What a great way to eat your vegetables! Mix the sugar, eggs, oil and vanilla together well. Then, mix the dry ingredients, including the flour, cocoa, baking soda and salt. Mix the two together, then add the chocolate chips and zucchini. 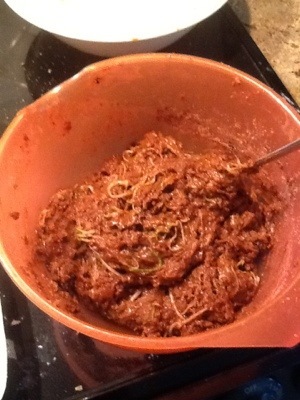 If the zucchini is watery, squeeze out some of the water before mixing in. At this point, I have to be honest, I wasn’t so sure this would turn out! After everything has been mixed thoroughly, spread the batter out in a 9x 14 cake pan. Bake at 375 for 40-60 minutes. Mine took almost an hour. Insert a tooth pick into the center, if the batter sticks to it, it needs to be cooked for longer. If the toothpick comes out clean, it is done. 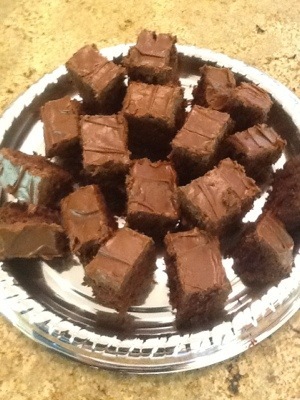 I decided that all brownies need to be iced, so I slapped on a quick layer of chocolate icing. They were delicious! Moist and chocolatey! You really could not see the zucchini at all. They didn’t last long! A teeny tiny part of me is looking forward to picking the next few zucchinis, because I will be making these again this summer. Yum. 729,479 Views! Tell your friends!